Up for sale is a new or like new Zastava M48 carbine. This is the first version that is all milled before they started adding cheaper, stamped components. These were made right after WWII and were almost the same as the K98K. The Zastava factory was taken over by the Nazis in 1941 through 1944. After the Nazis were conquered, the factory went back to Yugoslavian control and many of the original workers returned. I also suspect actual K98K carbines were made at Zastava. Since Yugoslavia didn’t have any major wars, these were mothballed, some never shot. This was purchased right out of the crate full of cosmolene which was cleaned off. This particular rifle was likely made in 1950 and stored ever since. As you can see in the picture, it has a full logo on the receiver and indicates it is the M48 (original) version. I am including an actual German K98K sling which is well worn, but is the same style as was used on this carbine. Also including some ammo pouches in good condition and five boxes of 8mm ammo. 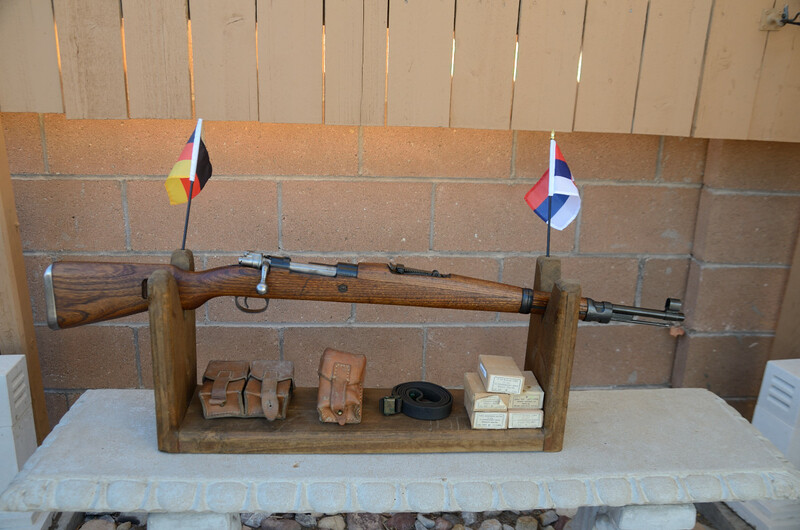 This is one of four Mausers up for sale including a 1916 Spanish, 1938 Turkish, and a German K98K.